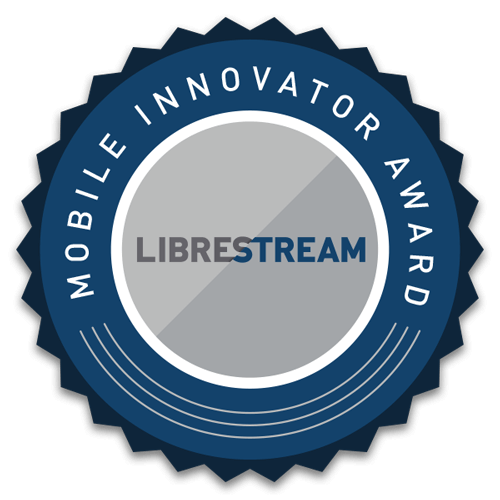 Librestream is honored to recognize the following industry leaders with the Mobile Innovator Award (MI Award). Their success in deploying collaborative mobile video, as evidenced by strong business results, demonstrates their exceptionally strong leadership and commitment to innovation. The MI Award program was launched in 2016 and is open to enterprises that can demonstrate this high level of innovation and success. Sub-Zero integrated video collaboration as part of their New Generation product roll-out, gaining 5-10% production line uptime and 10-20% acceleration in time to market, positively impacting their bottom line. Diebold equipped its North America service team with collaborative mobile video capabilities in the field, decreasing training time for new techs by 30 percent while improving first-time-fix rates and providing faster service resolution for customers. The Mobile Innovator Award winners have invested in new collaborative video and associated technologies that evolve how they service customers, develop products, and differentiate their organizations. These leaders have successfully integrated video-enabled capabilities within their processes and achieved tremendous results. All communications are approved in advance by your internal teams. To apply for this award, Contact Us to receive the Application Form. All content provided in the Application is considered private and will not be released or published without the express approval of the nominated company. Winning applicants have improved communications and performance in their market by video-enabling their teams, customers, and/or value chain partners. Benefits are well-understood and can range from expanded revenue opportunities to improvements in mentoring programs and competitive differentiation.